The neverending saga of the release of GTA V for PCs continues. The title has been delayed again. It will only become available on April 14. Last we heard anything about the matter, it was due to be out on March 24. That was after another delay, since the original release date was January 27. So it’s clearly not an easy ride for PC gamers who are fans of the GTA franchise. Rockstar Games has apologized for the new delay, saying that “a bit more time is needed to ensure that the game is as polished as possible”. To calm people down, those who pre-ordered GTA V will receive an additional $200,000 of in-game cash to use in GTA Online. 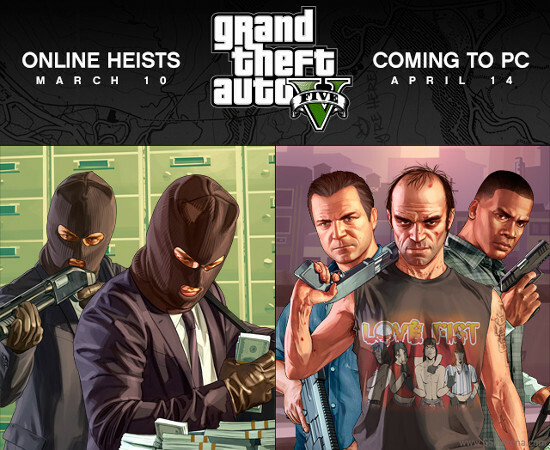 Heists for GTA Online will launch on March 10, and they should be available for PC from the moment GTA V will be out.